In the new Asrock board, I've been using G. Skill 4Gb (2x2Gb dual channel kit) DDR3-1333 PC3-10600. 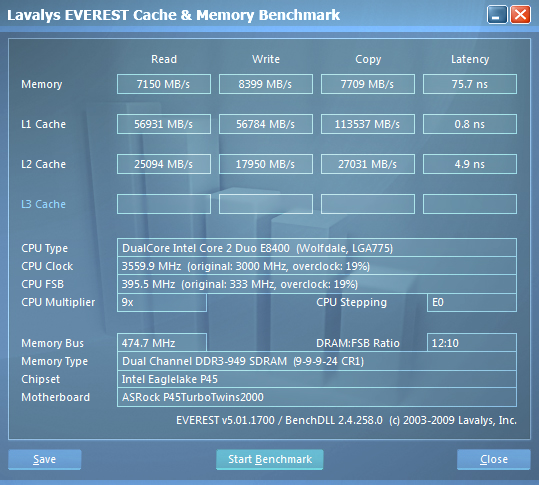 I ran Everests benchmark on it. Then I added 2Gb (2x1GB) Micron DDR3-1066 PC3-8500 and ran the same benchmark. It's almost a carbon copy. Just what does this mean? a bad benchmark? The numbers relay don't mean that much? I won't understand the numbers themselves but the fact that they are so close together confuses me. Leed me by the hand, this all confuses me! And it says under memory type: Dual Channel DDR3-949. What's with that? Last edited by PorPorMe; 21st June, 2009 at 07:06 AM. Bumpez. Little help here, please. This is done by the DRAM:FSB multiplier, which is 12:10. If you change the multiplier in bios to one that closer matches the RAM speed, you will possible get more of a difference. Sorry I don't have a similar board so can't help much further. I don't pretend to understand the numbers (maybe one day!) but you gave me enough to start looking and I did a little changing in the bios. At least some of the numbers are closer to what the mnfg has them at. 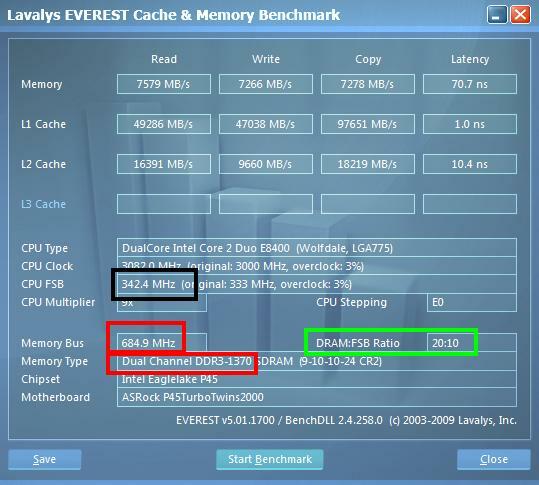 Short answer: DRAM:FSB ratio works like the CPU multiplier but for RAM speed. To make it clearer, I have modified your screenshot a little. 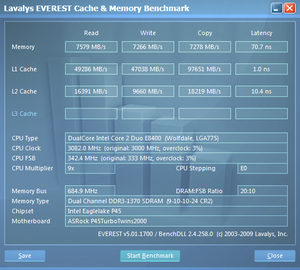 You will be able to adjust the DRAM:FSB ratio to change your RAM speeds. This means if you overclock the CPU you don't have to overclock the RAM and vice versa. What this means, is that you can overclock your FSB, then you can calculate the RAM speed from the DRAM:FSB ration and adjust it if needed. Thanks-I won't say it's clear but it's helping and as time allows I'm working on it. I wish i had the time to sit and learn one thing to some degree of understanding but that just isn't possible at the moment. Thanks. All times are GMT +1. The time now is 11:12 PM.